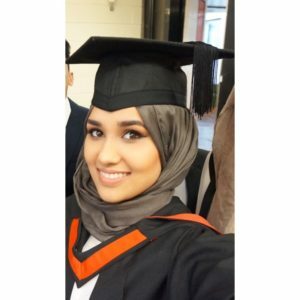 After graduating from the University of Essex with a degree in Sociology, like many graduates, I felt lost as to which path I should take next. I felt inspired and impassioned from studying ground breaking theorists such as William Dubois, Edward Said and Simone de Beauvoir but I felt that there wasn’t a place for me to channel the knowledge and inspiration I had gained. A close relative was talking to me about the Ipswich and Suffolk Council for Racial Equality (ISCRE) and all the great work that the organisation does and whilst he was talking to me, I felt that spark again to make a difference in the society that we live in. In March, I came to ISCRE to meet with Phanuel who spoke to me about the current social issues that affect us and explained how ISCRE tries to address the various forms of inequality that are rife. I was introduced to the friendly and welcoming team and as I continued to volunteer, I got to know them better and began to understand the different parts of the organisation that they are responsible for. Although they work independently, they are united collectively by their value for equality and diversity. Whilst familiarising myself with all the ambitious work undertaken by the team at ISCRE, I was astounded by their ability to challenge the status quo and their keen determination to revolutionise our society. I realised that this was a place that shared the same egalitarian values as me and so each week I fervently looked forward to coming in to ISCRE. I was given the task of assembling the Impact Report for 2015/2016, a report which highlights the years achievements at ISCRE. I was responsible for adding the content given to me by each department and compiling the report in a clear yet engaging way. Currently, I have been given the role of Project Officer and we are in the process of developing a project that is primarily aimed in engaging young people and informing them of their rights in regards to stop/searches conducted by the police, I am incredibly excited in starting this new venture. I would like to express my gratitude to Phanuel for giving me the opportunity to work for such an incredible organisation with the most dedicated team. I am honoured and privileged to be a part of it.